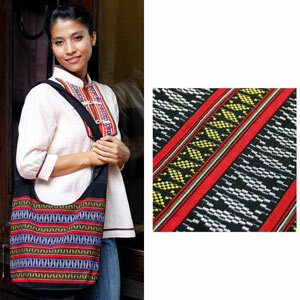 The artisans of northern Thailand handcraft this stylish accessory with cotton. 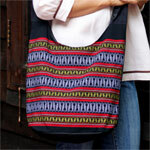 The skilled bags artisans decorate it with geometric motifs woven by hand. Fully lined with cotton, the versatile shoulder bag features two inner pockets. It closes with a zipper.